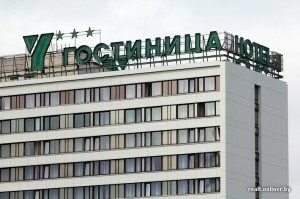 In the capital of Belarus the building of the hotel «Yubileinaya» was renovated a few days ago. 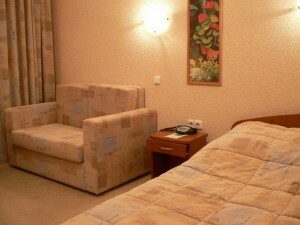 This hotel is situated in the center of Minsk on Pobediteley Avenue. Hotel complex «Yubileiniy» transformation finally came to the end. 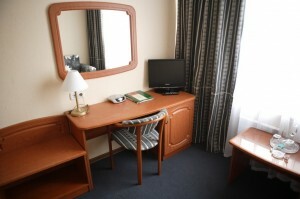 the rooms of the hotel are more freh now due to new furniture and renovated walls. As experts explained such type of work are perfomed in the hotel: facade warming, arrangement of a ventilated facade with ceramic panels ArGeLite are performed. Facade modernization — the final stage in reconstruction of our hotel. Before was made repair of all hotel numbers, conditioned their most part. Also introduced the international quality system and confirmed «stardom». The quantity of stars didn’t changeThe hotel has athree stars. 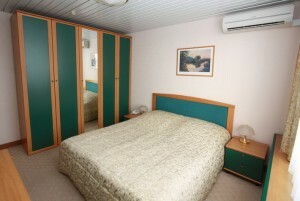 To receive more customers, it is necessary to have more spacious numbers, over 14 square meters. The hotel have less.